EINDHOVEN – July 29, 2008 – POINT OF VIEW, well known for its range of NVIDIA based Graphics cards, is launching today the GeForce 9500 GT. Your PC is now more visual than ever. Supercharge this visual experience with the NVIDIA® GeForce® 9500 GT GPU – there is no better investment to provide more vibrant photos, smoother videos, and more realistic gaming. Improved 3D user experience with Windows Vista, including Windows MediaCenter. By offloading tasks from the CPU, GeForce 9500 GT allows you to increase your productivity by sharing, editing, and managing photos and videos with ease. Featuring the revolutionary PureVideo® HD technology engine, this GPU delivers astounding Blu-ray movie picture quality with reduced CPU utilization and low power consumption. Spectacular picture clarity and vibrant color with PureVideo HD advanced video processing technology. 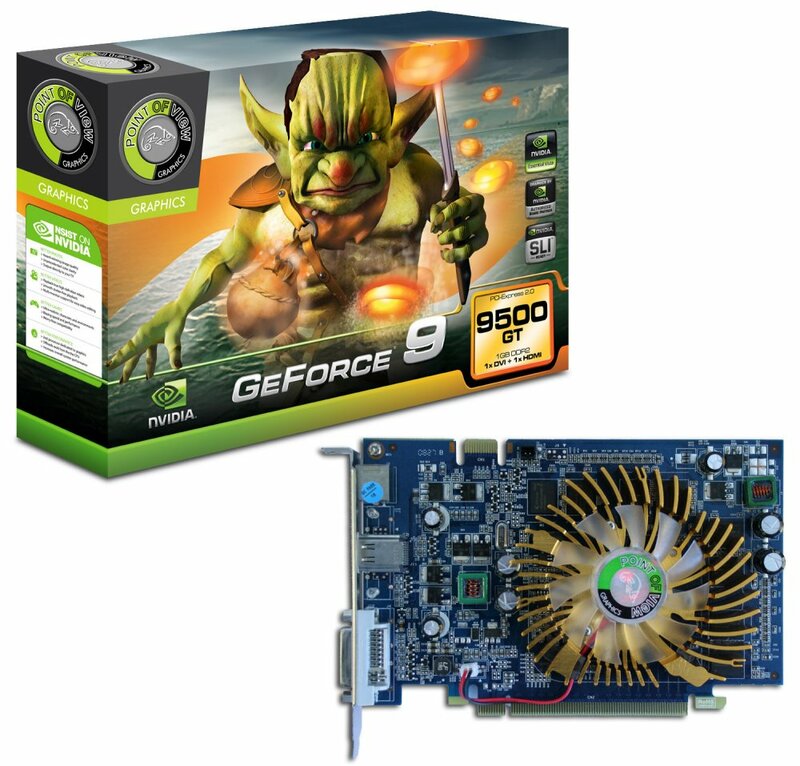 With GeForce 9500 GT, playing the latest immersive PC games won’t cost you a bundle. 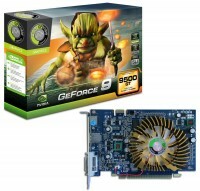 Up to a 3X performance increase over the comparable 8 Series GPU –GeForce 8500 GT. Double the power of a single graphics card with NVIDIA SLI® technology. The SLI- ready GeForce 9500 GT graphics card can be paired with an identical 9500 GT-based card for up to 2X the performance of a single card set-up. Compatible with PCI Express and the new PCI Express 2.0 bus architecture, GeForce 9500 GT offers a future-proofing bridge to tomorrow’s most bandwidth-hungry games and 3D applications. These cards are available from today.